As part of our attempt to lessen our eating out food budget, we had dinner at home yesterday. It was H’s turn to cook. 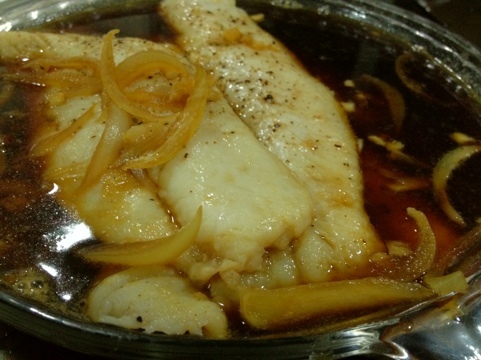 We had Steak, Steamed Dory in Asian sauce, and mashed potatoes. We had left-over Gloria Maris food so I had those heated. 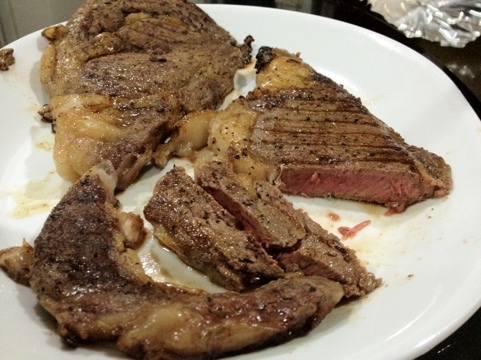 The steak were given to us by my sis-in-law Lilliam. H had it seasoned and grilled. I’m still preferring the meltique steak over this. The fish was so Yummy. Infused with very simple seasonings, this dish came out light and very refreshing to the palette. The steak looks so good! I could go for one right now!